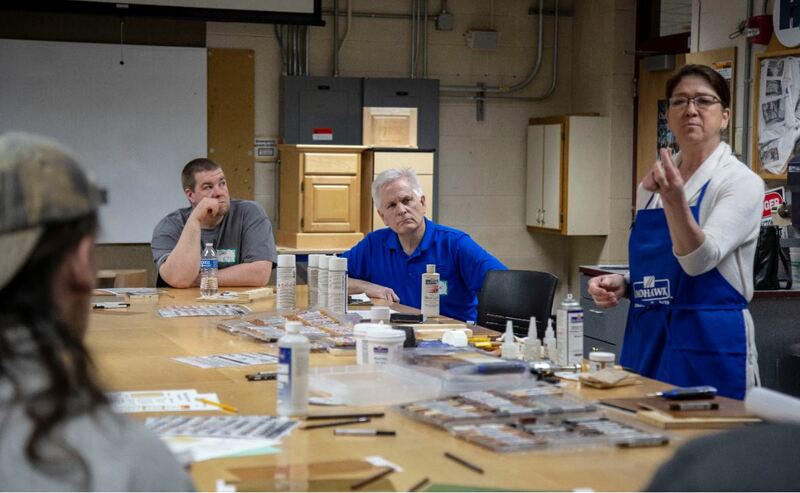 Sanding & Finishing Seminar participants watch Peter Van Dyke’s keynote address. Stiles product specialist Peter Van Dyke demonstrating how to repair a damaged platen. Mohawk Finishing Products rep Deb Sampson conducts a seminar on touch-up and repair. 3M senior application engineer Dan Bygd explains how to properly use and care for D/A sanders. 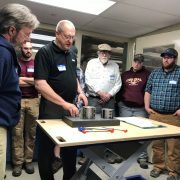 Over 50 individuals from industry and education gathered at a recent lunch and learn sponsored by Stiles Machinery and held at Madison College of Madison, WI. 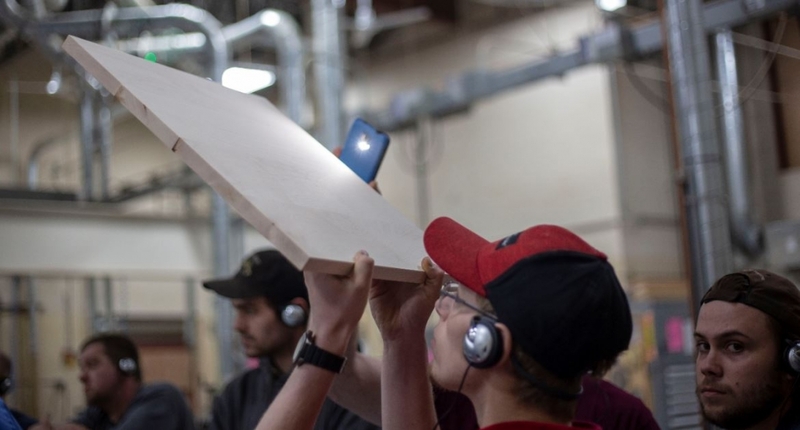 Participants spent the day learning about sanding and finishing applications, as well as networking with current students. Stiles product specialist Peter Van Dyke kicked off the day with a presentation on widebelt sanding. Following his keynote presentation, participants were divided into three groups and viewed demonstrations. On hand was Dan Bygd of 3M Abrasives, and Deb Sampson of Mohawk Finishing Products. 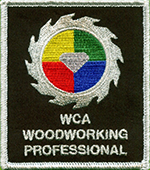 Bygd provided insight on abrasives and demonstrated proper use and care of D/A sanders. Sampson conducted seminars on touch-up and repair techniques. 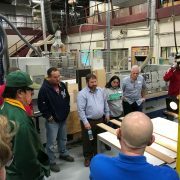 Rounding out the small group presentations, Van Dyke demonstrated veneer and seal sanding using the college’s new Homag widebelt sander. After lunch, provided courtesy of Stiles, participants had the opportunity to learn about the latest trends in finishing. Andi Cucco and Bob Niemeyer gave an overview of the facilities for ICA Coatings in Italy. Both were on hand during the entire event to answer questions. Many of the participants went home with door prizes provided by each vendor, including one lucky winner of a D/A sander provided by 3M. 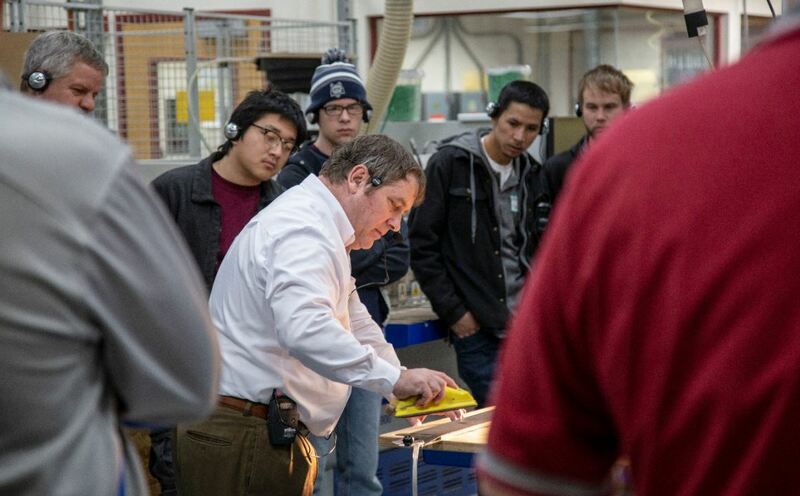 Madison College has been delivering seminars like this since 2008, when Stiles product specialist Van Dyke first offered to present to students. Since then, the college has hosted more than 20 seminars on a wide range of topics. Over the years, the seminars have grown in size and stature. 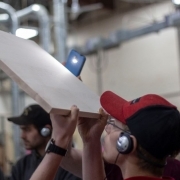 For the 2019-20 school year, the Cabinetmaking program is planning at least two seminars. In September, the program will host the Festool Roadshow, and in the spring, the focus will be on edgebanding. 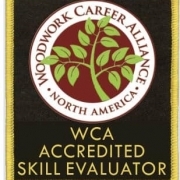 The Cabinetmaking program at Madison College is a Woodwork Career Alliance (WCA) EDUcation™ member and hosts several seminars annually which are open to industry members. To receive notification of future events, contact Patrick Molzahn at 608-246-6842 or email pmolzahn@madisoncollege.edu. 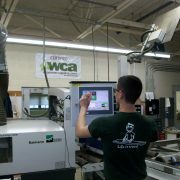 To learn more about the Cabinetmaking & Millwork program at Madison College, visit madisoncollege.edu/program/cabinetmaking-millwork.